Heat oven to 375°F. Spray 13x9-inch (3-quart) baking dish with cooking spray; set aside. Cook and drain noodles as directed on package, using minimum cooking time. Drain; set aside. Meanwhile, in 12-inch skillet, melt butter over medium-high heat. 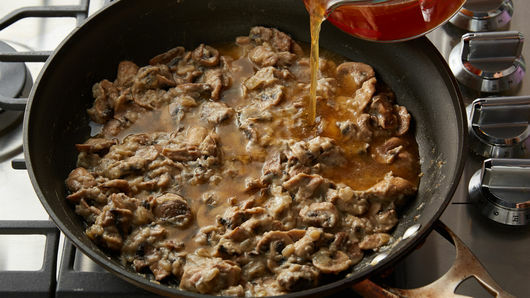 Add mushrooms and onion; cook 3 to 5 minutes, stirring occasionally, until onions are tender. 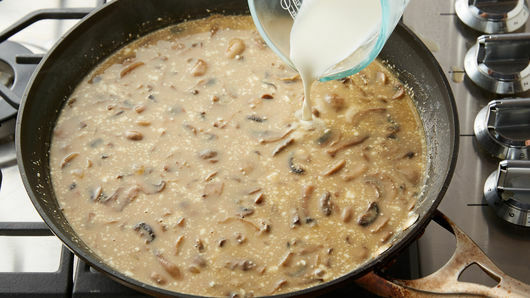 Sprinkle flour on top of mushrooms and onions; stir well. Gradually stir in beef broth; add Worcestershire sauce, salt and pepper. Heat to simmering, stirring occasionally; cook 3 to 5 minutes or until mixture is slightly thickened. Stir cream cheese into hot broth mixture, stirring constantly with whisk until cream cheese is mostly incorporated (small pieces of cream cheese may remain but will incorporate in baking). Remove from heat; stir in whipping cream. 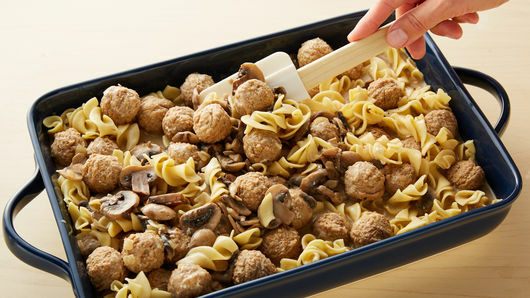 In baking dish, add noodles, sauce and meatballs, carefully mixing to coat. Cover; bake 30 to 35 minutes or until sauce is bubbling and casserole is heated through. Stir; cool 10 minutes. Stir before serving; garnish with parsley. Stirring the casserole before serving helps evenly distribute the sauce. 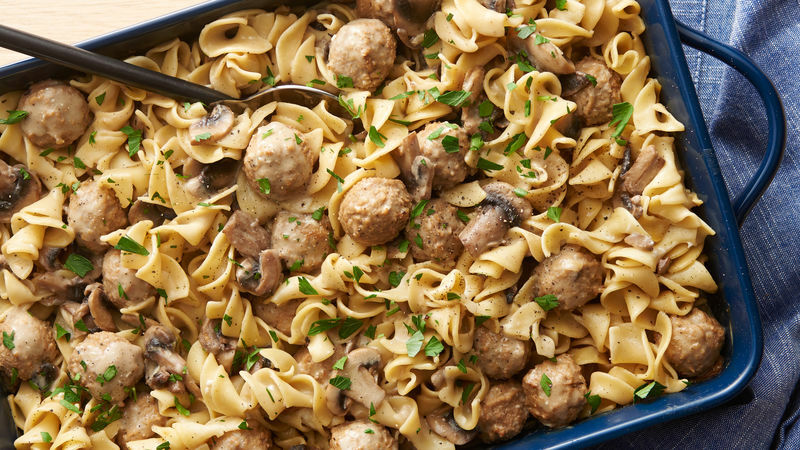 Serve with a side of cooked green vegetables or a side salad for a complete meal.